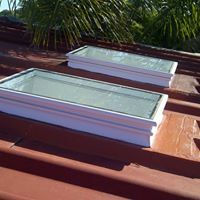 Solar Solutions offers a wide range of standard skylight products to suit your needs. 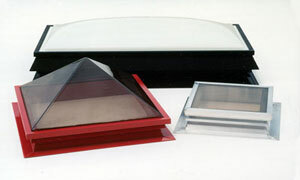 From Fixed flat flush glazed skylights for sloped roofs to Pyramid or Octagonal skylights for flat roof applications. 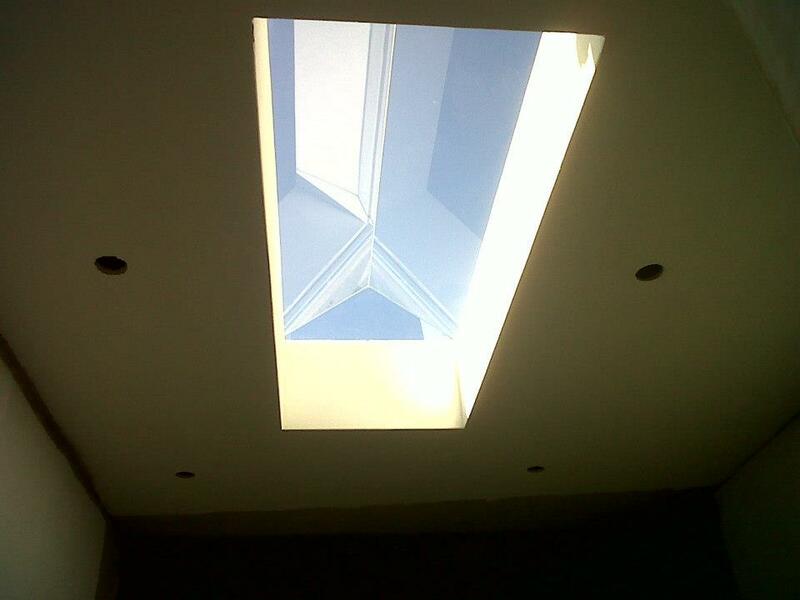 Solar Solutions also offers a design service for custom made skylights should you require something a bit different. 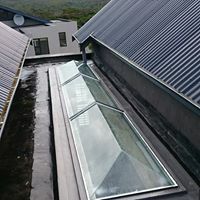 All our skylights are manufactured with the minimum amount of internal framework to ensure you get maximum day light and visibility through the product. 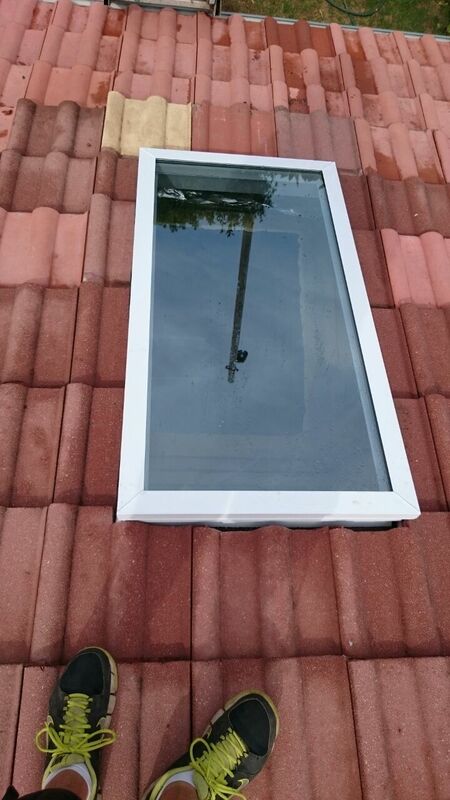 All skylights are manufactured from aluminum and safety glass ensuring a long life span and minimum maintenance. Are generally made from Safety Glass - either toughened or laminated. The are functional as well as being focal points in the architecture of the home. The glass is supported by an aluminium frame which is manufactured to suit the application. 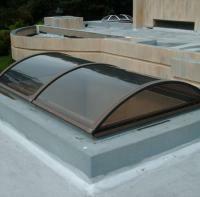 Flat skylights are cost effective and work well for any application. 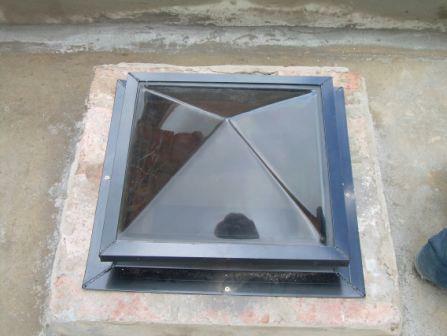 The Pyramid consists of a self-flashing aluminium base frame, designed to fit onto any type of roof or curb. Available with or without a ventilation system. Pitched roof, Tiled, slate, or corrugated iron. Flat roof, Concrete or IBR, etc. The frame is a self-flashing aluminium base, welded on four corners and fixed onto the roof surface either by nails or screws. The glazing system is an aluminium arch and clamp, totally leak-proof and maintenance free. The clamp is fitted onto the arch with self-tapping stainless steel screws in such a way that no leak is possible. 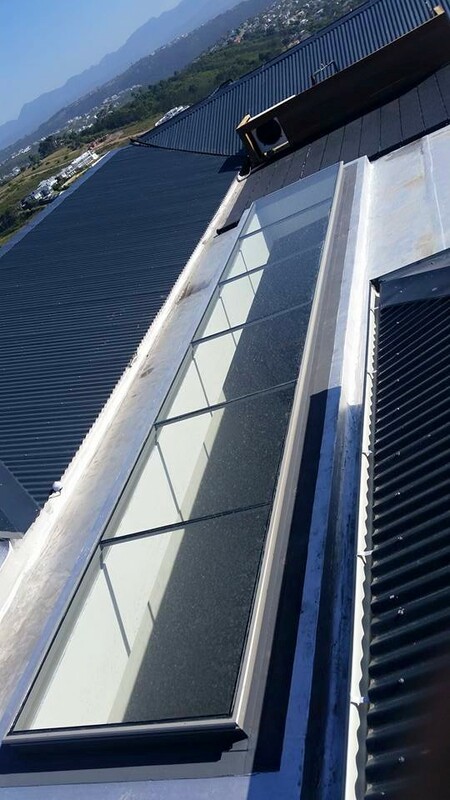 It is fitted with a non-perishable EPDM rubber sealer for smooth thermal expansion and contraction of the glazing material. 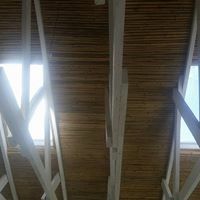 Glazing material is available in both acrylic and poly-carbonate, in a choice of colours, allowing solar energy control (heat build-up) through the various light and thermal transmissions. The ventilation system fitted along the base frame or the gable end, allows airflow. It can be controlled or fixed. When fitted, the ventilation system adds on only 100mm in height. 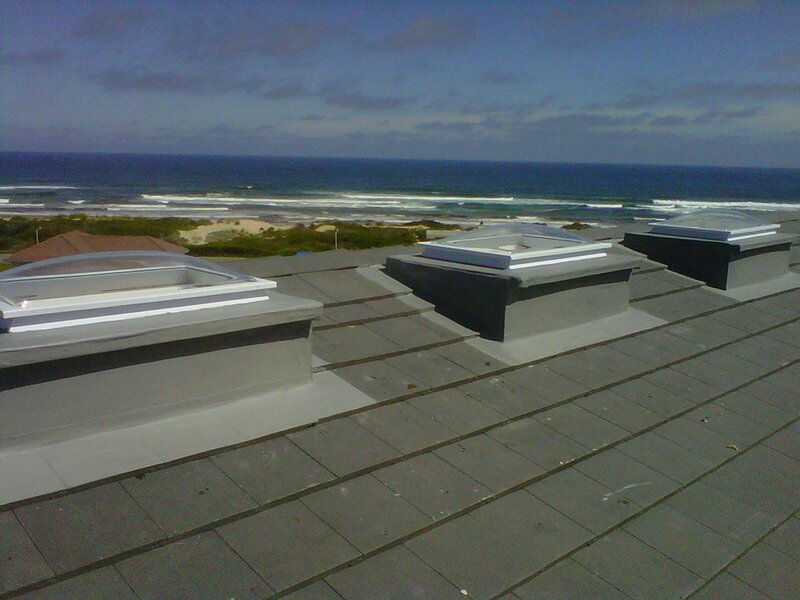 A ventilation system can be fitted on each gable end. It is available as louvre, extractor fan or ridge-cap ventilation. 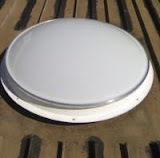 The Dome can be designed to fit into any base line structure, such as steel, timber or masonry. The glazing system is an aluminium structural arch to suit the spanning capability. The clamp, fitted on with self-tapping stainless steel screws, creates a totally leakproof, maintenance-free system. It is fitted with an EPDM non-perishable rubber sealer, for a smooth thermal expansion and contraction of the glazing material. 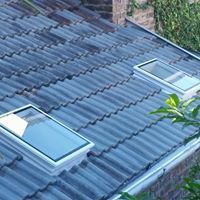 Are generally fitted to a concrete slab roof. During construction, a round hole is formed using shuttering board (generally masonite), After the shuttering form work is removed, a layer or two of brickwork is built around the hole, forming an "upstand". The roof will usually have a topping of screed on top, to allow the water to run to the drain point. 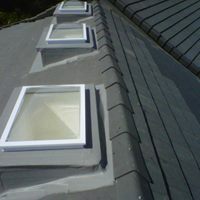 After the roof is completely waterproofed, including the upstand around the skylight hole, the skylight can be fitted. Avalable in clear, bronze or tinted acrylic. White or bronze powder coated frames. Let Solar Solutons add a touch of Luxury to your home. 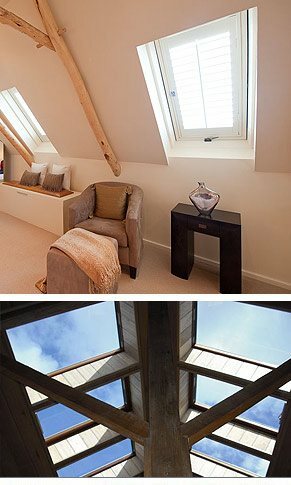 Skylights have a directly positive impact on us increasing energy levels and elevating our moods.